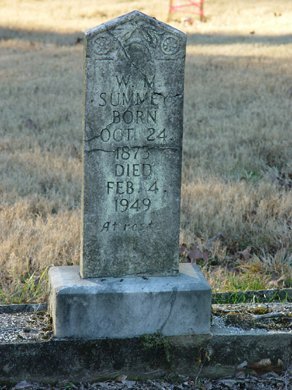 William "Willie" M. Summey, son of Lintford Samuel Summey and Artilda Anne Tidwell, husband of Sallie Blackburn/Blackman. On Friday, February 4, at 4 p.m. Mrs. Sallie Summey, 61, breathed her last after an illness, which lasted for 4 years, hit her home in Cartersville. 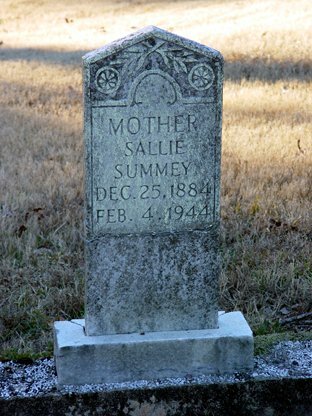 Mrs. Summey was born in Pickens County on Christmas day 1882. In early life, she united with the Baptist church and continued a faithful member all her life. 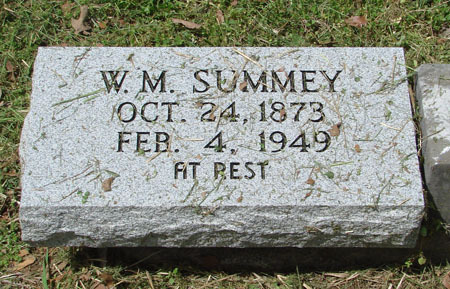 She and William M. Summey were married 45 years ago. 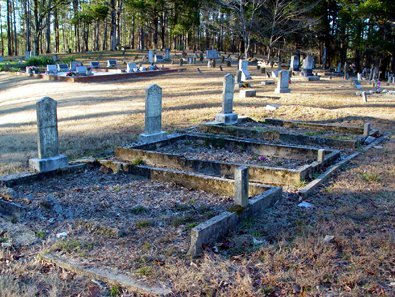 He survives her, also two sons, Linford and Columbus Summey; and one sister, Mrs. Annie Abernathy. The funeral was held Saturday February 5th from Macedonia church at 11 a.m., with Rev Dempsey conducting the service. Interment was in the adjoining cemetery under direction of Owen Funeral Home. Tombstone states birth year as 1884.